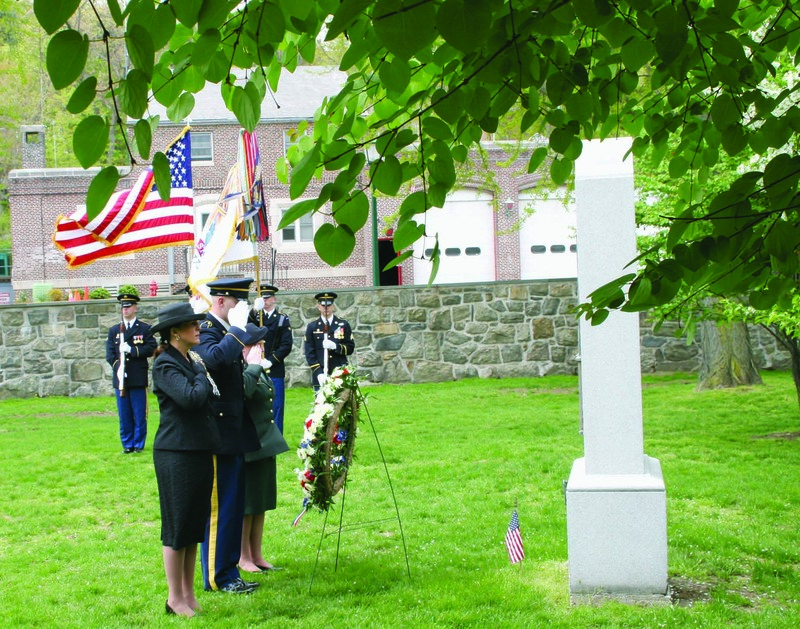 Many of you may recall that in December we learned that the remains of Revolutionary War heroine Margaret Corbin are not buried in the West Point Cemetery as had been believed for the past 92 years following a DAR led effort to reinter her with full military honors at West Point in 1926. Following a recent construction disturbance at her gravesite, a comprehensive archaeological and forensic study administered by the U.S. Army revealed that the remains thought to be Margaret’s were in fact those of a man, reintroducing a mystery of where her true remains actually are. The most important thing to emphasize is that the Daughters of the American Revolution is committed to celebrating Margaret’s legacy and honoring her valor regardless of where her final resting place may actually be. We are proud to be working closely with the United States Military Academy and the Army National Military Cemeteries on planning a rededication ceremony at the Margaret Corbin Monument at the West Point Cemetery on May 1, 2018 at 11 am. We invite those of you who may be interested and able to join us in New York at the ceremony on May 1! 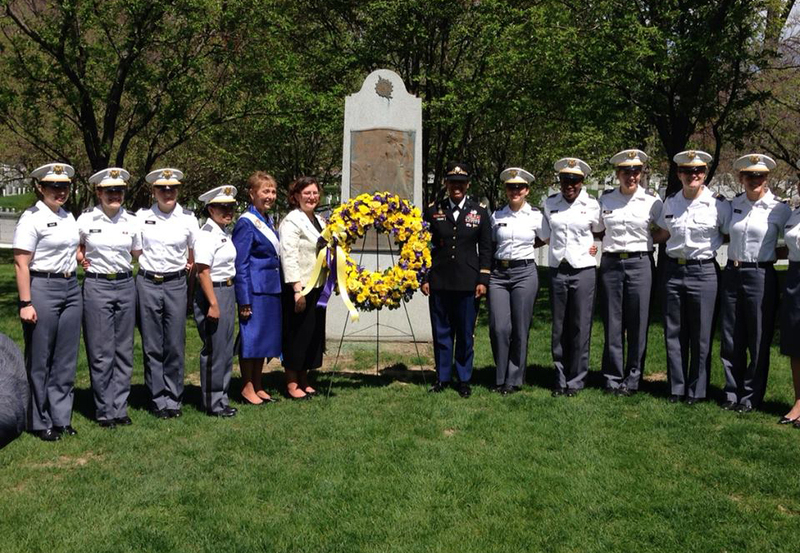 The New York State Officers Club (NYSOC) has diligently carried out the Margaret Corbin Day Wreath-laying Ceremony for the past 92 years. The New York State Organization originally coordinated the 1926 search for Margaret’s remains, her reinterment and donated the Margaret Corbin Monument to West Point. While the annual ceremony has typically been a celebration attended primarily by NYSOC members, the NYSOC welcomes anyone from the membership or the public who is interested in helping us rededicate Margaret’s valor at this special ceremony. For those interested in attending the rededication, please visit www.dar.org/MargaretCorbinCeremony for more details regarding the ceremony. Please keep in mind that there are special security measures in place to enter the United States Military Academy. A luncheon hosted by the NYSOC at the Thayer Hotel will follow the ceremony. To attend the luncheon you must contact NYSOC President Jennifer Minus at jminus2@aol.com to complete a luncheon reservation by April 15. In the meantime, the DAR, U.S. Military Academy and U.S. Army (under the auspices of the Army National Military Cemeteries, which overseas West Point Cemetery) are partnering over the next several weeks to spread awareness of Margaret Corbin’s legacy on social media. Please follow their social media sites and share the posts about Margaret Corbin with the hashtags #HonorMargaretCorbin and #WheresMargaretCorbin so others can learn about her contributions to the fight for our nation’s independence. Stay tuned to the Today’s DAR Blog in the upcoming weeks when I will share with you ways the DAR has not given up on one day finding the true whereabouts of Margaret’s remains… and how you may be able to help in the search!